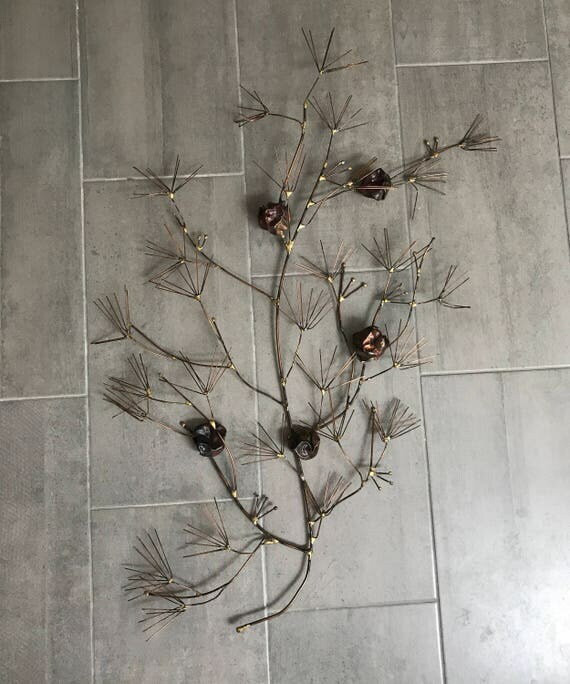 Mid-Century metal wall sculpture wall hanging. In good vintage condition. There are no specific holes to hang this piece so its flexible in the way its displayed. PLEASE MESSAGE US FOR AN ACCURATE SHIPPING QUOTE….